Holiday season is fast approaching and you sure have many cooking to do. 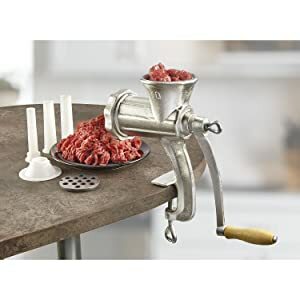 So you plan to buy a reliable meat grinder to cut almost half of the painstaking process of manually grinding the turkey or beef. The idea alone sounds so commendable but then you caught yourself worrying about it soon. Yes, choosing a meat grinder may be is something you are not expert at but worry no more! The things that you need to know on how to choose a proper meat grinder are listed below. Read on! 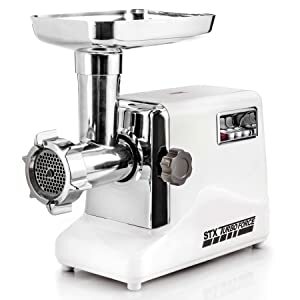 including your special sausages and meat balls you’ll need a meat grinder that can do the grinding fast and in big quantity. So for this, average- sized electric grinder well work best for you. When pinpointing about the quantity of meat it’s always important to know how often or seldom the grinder will be used and much quantity of ground meet you need to make. For convenience purposes of course you would prefer using electric grinders on which size depends on your meat quantity. However, if you are someone who always brings home a deer from hunting, then maybe you will consider getting a big manual grinder. Just remember that manual grinder are those working using your hand holding on the bar and making it continuously moving around. Saves time, definitely faster than the manual one. Saves energy, you very know manually grinding is tiring. More refined ground meat of course depending on which plate you used. Some electric grinders are small and is best used for occasional purposes only like birthdays. Even though it can save time, it still depends on the sizes of the tray and the tube it has that will direct the swiftness of grinding meat. Light and can be carried or transferred from one place to another. Very good for personal yet big quantity meat grinding. Doesn’t require electricity only your force. Tiring especially when you have large quantity of meat to grind. Almost always heavy compared to electric. Of course you can’t have one if you don’t have your wallet ready. Thus it is advisable to search for grinder that doesn’t only meet your requirements for productivity but also your wallet budget. 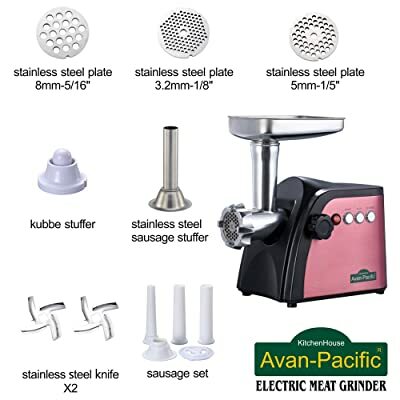 Mostly there are proliferations of meat grinders nowadays making it easy for you to check one that suits your budget and need. Just take time and browse or search online or even offline for them. ade of durable plastic. 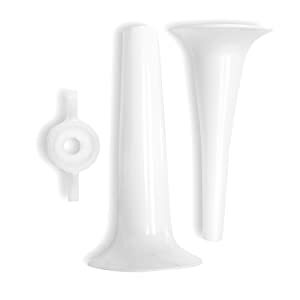 All the parts made of plastic can be usually washed in the dishwasher while extra care for the stainless pieces such as the plates is needed. However, these lightweight plastic model may be easily worn out if you use it for large quantity grinding process that surpass its capacity. Meanwhile, big and usually heavy manual grinders are much more durable. They are also much more easy to clean and can handle heavy tasks therefore you have less worry of getting them damaged in immediate span of time. Extra is always a treat. For grinder that offers additional tools like sausage stuffer tubes would be so functional. Here’s the tip look for things that goes with your grinder of choice that will make the benefits of using it out way the price you pay! There are complete stand mixers and grinders while there are others that comes as an attachment to your stand mixer. Either way, you just have to choose which suits your need. All in all, the search for finding the perfect grinder to cater for your need should be easy just as long as you know the purpose and the quantity you will use the kitchen tool for. Also, aside from knowing its functions and durability, it is also important to consider your budget when buying it. Things get easy especially like grinding your meat when you have a reliable meat grinder at home or in your business!